Albertsons. Photo via Wikimedia Commons. Six years after the edict allegedly came down — don’t speak Spanish to customers — a San Carlos Albertsons is being sued by the feds. The grocery store violated federal law when some Hispanic employees were subjected to harassment and a hostile work environment amid a no-Spanish policy, the U.S. Equal Employment Opportunity Commission alleged in a lawsuit filed Thursday. Beginning in late 2012, the Albertsons store on Lake Murray Boulevard near Navajo Road prohibited employees from speaking Spanish around non-Spanish speakers, including when they spoke to Spanish-speaking customers and during breaks, the suit said. The EEOC alleges that Albertsons managers at the San Carlos location publicly reprimanded Hispanic employees caught speaking Spanish. The EEOC also contends that no corrective action was taken, despite numerous employee complaints, forcing employees to transfer to other stores. In a training video, managers and employees were instructed that employees should not speak Spanish as long as a non-Spanish speaking person was present. Thursday afternoon, an Albertsons spokeswoman told Times of San Diego: “While we cannot comment on this pending litigation specifically, Albertsons does not require that its employees speak English only. Albertsons serves a diverse customer population and encourages employees with foreign language abilities to use those skills to serve its customers”. But in 2012, the suit said, store director Richard Brown and other supervisors told employees Guadalupe Zamorano, Hermelinda Stevenson and other Hispanic staff that they could not speak Spanish anywhere on the premises regardless of whether they were on break. “Brown and others verbally harassed Hispanic employees, telling them not to speak Spanish, threatening them with discipline, and publicly reprimanding them for allegedly speaking Spanish,” the suit added. Brown no longer works for the company, according to a store employee who spoke briefly to Times of San Diego. Another manager cited in the suit, Jerri Burleson, was not available Thursday. She still works at the store, said a staffer answering the phone. Zamorano has worked for Albertsons since August 2007. In October 2012, after Brown allegedly reprimanded Zamorano in front of the store for speaking Spanish, she called Albertsons’ hotline to complain about Brown’s conduct. A similar incident occurred in December 2012, the suit said, and Zamorano in November 2013 asked for a transfer to another store. But Brown refused to submit her transfer request until she filled out a form that did not include the statement about harassment, the suit said. Stevenson has worked at Albertsons since 1989, and also claims being reprimanded by Brown in October 2012. As a result of the “harassment and monitoring from management,” Stevenson and other workers would leave the premises to eat lunch in order to feel comfortable, the suit says. Mickey Kasparian, president of the union that represents local Albertsons workers, said he learned of the suit, and the case, Thursday. Did his United Food and Commercial Workers Union Local 135 help the grocery workers in their battle with management? The complaint was filed by Washington-based James L. Lee, deputy general counsel, and Gwendolyn Young Reams, associate general counsel of the EEOC. According to the company’s website, the Albertsons chain is one of the largest food and drug retailers in the United States, employing about 280,000 people across 35 states. 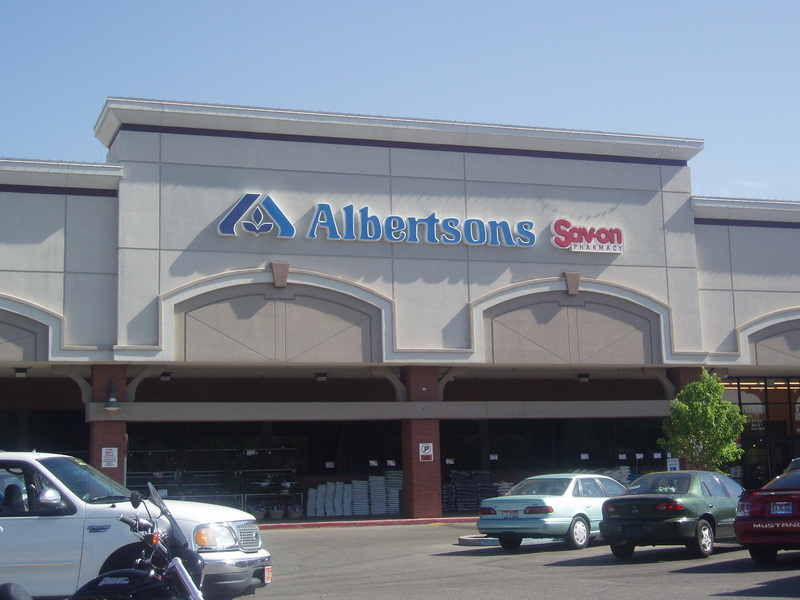 Albertsons operates under 19 well-known banners, including Albertsons, Vons, Safeway and Pavilions, and reaches more than 2,300 communities.